Congratulations to Michelle Redd for winning this giveaway! Today we have a giveaway (and 20% code!) from one of our sponsors, Lily Jade! 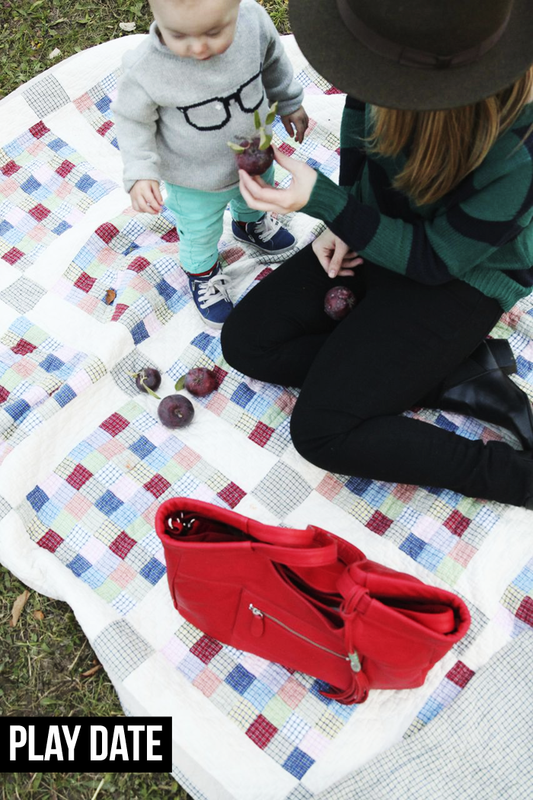 Lily Jade makes the most gorgeous bags for moms. Each of the styles has the included “baby bag” organizer which includes sixteen functional pockets and an easy-to-clean, detachable inner, you can use your bag for baby, then simply slip out the insert with its contents, to become a beautiful tote for Mom’s independent days out alone. No unzipping required. Genius, right? We love the red bag and how it adds color to the popular neutral color schemes that are so on trend this Fall! So now that yo’ve seen it in action, are you ready to win? This bag retails for $375 and boy do you deserve it! 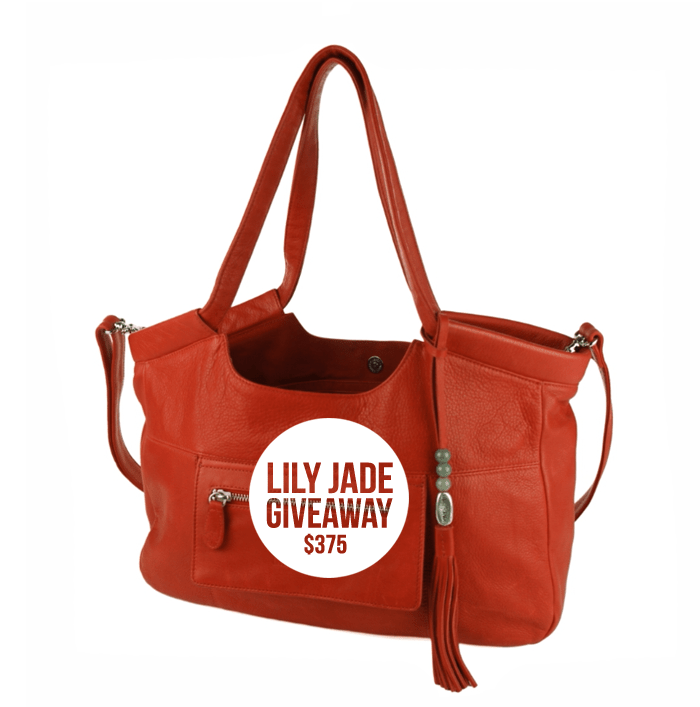 For extra entries: Follow Lily Jade on Facebook and Twitter. Post about this giveaway via Facebook, Instagram, Twitter or Pinterest and leave each link below in the comments. The winner will be chosen November 11, good luck! Can’t wait for November 11 to own this gorgeousness? We don’t blame you. 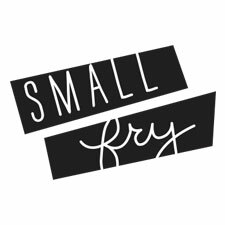 Head over to Lily Jade where the bag is now on sale PLUS when you use code Smallfry20 you’ll get an additional 20% off. Everybody wins! Photo Contributions courtesy of Stacey Sargent. Outfit Details after the jump! I have to say I have more than one item that I go for mostly! Wipes, diapers and change of clothes…I have learnt the hard way on several occasions when I least expected an accident..
My wallet, which means my toddler gets to play with my license and see mama each time… I swear one day it’ll be lost! I’m always grabbing for baby wipes, or a snack for my 3 year old! I liked lily jade on Facebook! My most grabbed item in my bag – my Gap card? Haha no, probably wipes. Always needing to wipe noses, faces, etc! My most grabbed item- probably my lip gloss! poofs! no good mom leave home without them in my opinion. HA! you never know when may need to buy yourself a few extra minutes of distraction! Baby wipes for sure, oh and crackers because they always calm my boy down. And for me, chapstick. Most reached for item? Hands down it would have to be snacks to keep my almost two year old content wherever we go. I never leave home without three or four varieties of his favorite snacks. Saved my life on more than one occasion! For my little guy who is 5 months, it’ll be the pacifier! I am now following Lily Jade on facebook. My most grabbed object after my phone would be my planner. I can’t leave home without it; it contains everyone’s schedule, business cards, license, and my two most used bank cards. Most grabbed for item: It’s a toss between my wallet and Kleenex this time of year! I always grab my 1 year old’s favorite book (of the moment). Either my wallet or gloss! Always!! My most grabbed item would have to be my Burts Bees tinted chapstick. I’m pretty obsessive about keeping my lips moisturized at all times. I follow Lily Jade on Twitter. I’m usually grabbing Chapstick or something to entertain my toddler! Wipes wipes and more wipes! My most go to item in my diaper bag is fruit snacks. They keep my 2 year old quite anywhere we go. My 9 month old is much quieter but requires a toy; so that’s my second go to item. I’d really love this diaper bag as mine is falling apart and scratches my hand every time I reach in the side pocket- the snap is broken! I love my Honest Company organic lip balm! As a musician and a mom usually it is a pencil to mark music or baby wipes to clean up a mess. I also tend to have quite a library for both me and my 2 year old in my purse. My most grabbed item would have to be wipes for my sticky 2 1/2 year old! I now follow lily jade on Facebook! I follow lily jade on Twitter now! Probably my wallet, since my 5 mo old is rapidly growing out of her wardrobe! Definitely the baby wipes! I don’t know what I would do without them! LOVE! I grab my chapstick or my sunglasses the most! With an almost one year old for sure snacks. More specifically puffs for her…and especially right after Halloween a mini almond joy for me 🙂 this bag is to die for! Definitely some kind of cloth with my horribly drooly 5 month old around. For me it’s a water bottle. Now that we are finally in the clear with potty training, extra toddler underwear is no longer my most grabbed item in my purse. Now it would be small toys that I hide in my purse to give my daughter something “new” to play with when we are out and about. I probably reach for a pack of fruit snacks for my two year old the most! I’m always reaching for Chapstick or gum – something to entertain the littles. This bag is brilliant. Grabbing my phone–all the time 🙂 Great bags!! I’m always looking for wipes!!! I follow Lily Jade on Twitter! Also like Lily Jade on Facebook!!! Red is my absolute favorite color for accessories. This time of year, the thing I’m constantly reaching into my bag for is hand lotion. I live in cold, dry Colorado, so good lotion and chapstick are a must! My most grabbed item would have to be my sunnies– I can’t stand being outside without them. That or my snack pouch for my son that has everything from applesauce to crackers in it– I can’t decide. Both are everyday essentials! I usually am going for my planner. Would probably be my keys or sunnies. Changing pad for my 4 mo old. Baby wipes and credit card! I’m always fishing around for my EOS mint lip balm. A MUST for the dry Fall/Winter weather! I, unfortunately, grab my wallet out of my purse way too many times… Says my husband. I liked LJ on facebook and I already follow SF on facebook and insta. I love large purses but I’m constantly losing things in the bottom. Love these bags with their organizers. Finally a beautiful purse that is also a diaper bag! I am constantly digging for my carmex lip balm. Perfect for this cold weather. We live in NYC, so my hand sanitizer is must! Ahh besides my phone, I probably grab for chapstick most often! And I follow Lily Jade on Facebook! LOTION!! i hate hate having dry hands esp now that the weather is getting colder. brrrr! This bag is so cute! Not at all does not look like a diaper bag. My most grabbed item is the treat/snack bag for my son. We are always loaded with snacks, it saves us from many screams! It’s gotta be baby wipes — use them for everything!!! I’m definitely grabbing my chapstick a ton now that cold weather is upon us! I like lily jade on facebook! Either lip gloss or baby wipes! always grabbing a new diaper! this bag is beautiful. i’m so sick of regular diaper bags! Most grabbed for item is chap stick. I am constantly reaching in my bag either for snacks or wipes! someone always has a runny nose and both my kids are always hungry! I NEED This bag! I like Lily Jade on FB. Thanks!! My most grabbed item is my lipgloss…and snacks or baby food pouches for my little ones is a close second. I liked Lily Jade on FB! Wipes! That’s for damn sure. I grab my chapstick the most! It gets so dry here during the winter and I hate having chapped lips! Toys to keep my little guy entertained! I like Lily Jade on FB! Definitely baby wipes. A close second is my phone to take (way too many!) pictures of my two kiddos. Besides my phone, I grab lotion or chapstick the most. Most definitely my wallet, or planner. My most grabbed item in my bag would be crackers or a snack of some sort! Liked Lily Jade on Facebook! I have to say I reach in for my lip gloss! Can’t get enough of the stuff. Lately? Hand sanitizer! I’m not germaphobe, but this season…. ugh. Thanks for offering the giveaway! I’d say my most reached for item (apart from my phone) has to be my Tata Harper Be Adored Lip Treatment – the perfect blend between a balm and a lipstick to keep me looking fresh and polished! Fingers crossed. Would love a gorgeous Lily Jade bag to do the same for my outfits! Such a cute bag!! Hmm I have a few things that I usually grab…. I think the number one thing is my computer… The second is chapstick! My most grabbed for item is my wallet. My camera!!! Always trying to capture the moment! I have been in love with this bag since Babble did a review on it!! I would grab snacks for my three hungry little ones! That and my camera to capture them before they grow to the next stage! This bag is fab! Well, I am expecting my first, so no kiddos quite yet….but, right now I am always reaching for snacks! Can stop snacking and I love it! Liked Lily Jade on FB and Twitter! I am always pulling out my atm card for all my purchase since I don’t carry cash around. I am always grabbing my lip balm – Baby Lips, Smith’s Rosebud Salve, etc. Thank you so much for offering such a lovely and generous giveaway. I follow Lily Jade on Facebook (Cindy Aiton) and Twitter (@normawatson). Chapstick! :). Love the bag! This bag is gorgeous!I’ve held off getting a diaper bag for 19 months, but now with #2 on the way I’ve gotta have this! What do I reach for most? Wipes, closely followed by chapstick! Wipes wiples wipes wipes! I mean, 500 times a day! My wallet and the binki! I’m always reaching for my chapstick. Such a lovely color, thanks for the chance! I always reach for my rosebud lip salve! I would have to say I go for my lip gloss/Chapstick the most. I like lily jade on FaceBook. Tissues especially this time of year! Besides my phone I would say Chapstick! My wallet (by both me and my daughter). She can turn anything into a phone…even my shopping list, which, for the record, was probably the most adorable thing ever. My purse is also my diaper bag so my most reached for item is anything baby related. I also like LJ on FB and follow on Twitter! I am grabbing baby wipes all of the time. But a close second to that is the stash of board books. Hand sanitizer, easily! Especially since 2 year old is always asking for that “hand sant-eyes-er”! I am always grabbing for my lipgloss! My most grabbed is hand sanitizer – keep those germs away! My go-to item would probably be hand sanitizer for my kids. Boring, I know. I’m following Lily Jade on Facebook. Fab give-away! My most grabbed for item is my lipgloss! It’s gotta be my Burt bees Chapstick or lipstain. I need to amazing bag!! The item I reach for the most in my purse (other than my phone…lol) would probably be my wallet. Some way, some how, I always seem to be spending money. 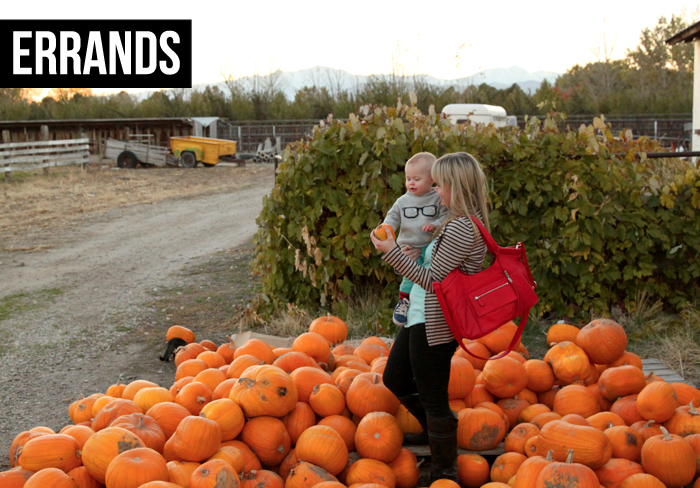 This bag seem like the perfect marriage between diaper bag and everyday wear. The perfect bag for a working momma!! I am in love! I follow Lily Jade on Instagram. Love this bag! my wallet…. or baby wipes!! following lily jade on FB! I’d say my wallet or keys. I follow lily jade on Facebook – Tannis W and on twitter @green_twiggy. With a messy little 2 year old I am always reaching for my honest co. wipes. I use them for everything from sticky hands to germy surfaces. I’m always grabbing for a plastic animal or a pacifier. Sad but true. I’d say my wallet or nail file! I’m always grabbing for a snack for my toddler. Usually a fruit pouch! I never leave home without lipstick! You just never know when you might need to glam up! I always make sure I have diapers, snacks, wipes, and lipstick! I am always grabbing for wet wipes!! A second close item I am always grabbing for is my keys which I can never find! I follow LilyJadeCo on Twitter! A chocolate bar and/or a coke. Too bad neither are ever in my bag. lip gloss for sure! love the color of this bag! My sunglasses and baby’s sunglasses. You got to protect your peepers. My lipgloss! It’s a must have to keep in every bag! I’ve been wanting one of these bags! I’m always reaching for my lipgloss! Always reaching for my sunglasses or shopping list! Being pregnant, I’m always going for my water bottle. A trip to the washroom inevitably follows! I am always grabbing for hand sanitizer!! I grab my glasses most often. I use sun glasses every time I go out, not just in summer. My Carmex! It’s the only lip saver for me. Most grabbed item: chap stick or wipes! All the puffs at the bottom! Hate when that happens. My most grabbed item (other than my phone) is my lipstick or chapstick! I know this will all change in 6 months when I welcome my first little one into my life! For sure always grabbing for snacks or digging for a lost binkie! All those extra pockets would be great! definitely my lip gloss, cell phone, and credit cards! Snacks for my kids when we are out and about! Thanks for the chance to win. I follow Lily Jade on Twitter (@BeautyMustsMom) and FB (Deirdre Uria)! My sunglasses! And I usually have 2 pairs just in hands reach! Wipes for sure! Always a mess to clean up. Pacifier…another reason I would love a lily jade bag and organizer so the pacifiers won’t get lost!